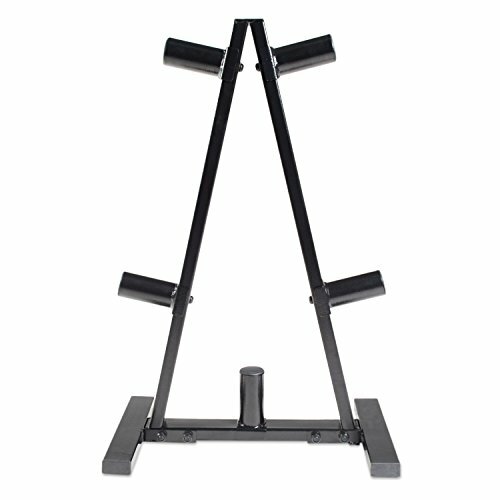 Keep your weight plates in order and off the floor with the CAP Barbell 2-inch Olympic plate rack. This rack features a durable steel construction and accommodates 2-inch plates. It also features a black powder-coat finish and triangular design. Ideal for home use to keep your workout space organized and your plates readily available. Steel construction offers outstanding durability. Keep floor protected and organize weights. Accommodates 2-inch plates. View More In Weight Racks.